Is It Time to Hire a New Employee? Developing and maintaining a strong professional network can take you much further than a job offer. 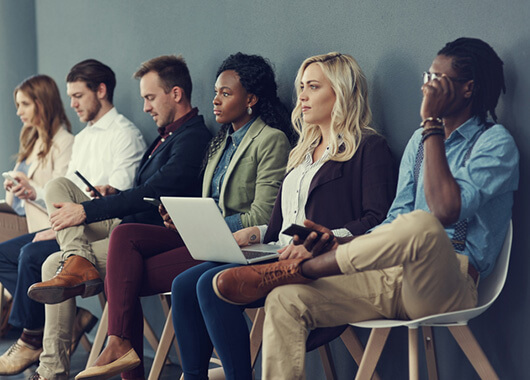 While many view a job the primary goal of networking, there are plenty of other equally important reasons to maintain and grow your network; even when you aren’t in the market for a new job. A good contact can be an invaluable resource. You never know what kind of challenges you will find yourself facing, and it’s impossible to be an expert on everything. Knowing the right person to help solve an out-of-the-box problem at work could save your company big time. Why not rely on calling up an expert you’ve never met? Someone who knows you well is more likely to take time out of their schedule to help you and is less likely to give you the runaround. Along the same lines, there will be a point in your career where you need guidance. How should you approach negotiating salary with your employees? How do you handle letting someone go? Should you franchise your business? Having someone you trust who has gone through what you are going through can help ease a troubled mind and assist in making an educated decision. Having a diverse network can get you out of your industry bubble. Surrounding yourself with people from other industries, backgrounds, viewpoints and business models can work wonders on the way you see the world. You’ll learn things you may have never even considered learning about if you stuck to the confines of familiarity. This makes you an asset anywhere you go and can give you a competitive advantage. While you may have no plans on leaving your current career, life happens. Plans may change with or without your authorization. A network can be a bit of a safety net. You may know someone who knows someone who is looking to start a brand new business in something you know all about. A connection might be aware of opportunities that aren’t yet public knowledge. If you’ve already built and cultivated your network, it’s doubtful you’ll be left high and dry for long. Now that you’ve seen a few of the benefits of a solid network, you may be ready to start making connections. Keep in mind a professional network is a lot like a garden. You can’t throw seeds into the wind and expect a full harvest. Similarly, you can’t hand out a business card to everyone you meet and call it a day. Seek out the kinds of relationships you’re looking to grow, and then start gardening. Introducing yourself is simply planting the seed. That seed will need cultivated through follow-ups and a consistent effort to further the relationship. Make an effort to be as much of an asset to them, if not more, than they are to you. This ensures they want to keep you around, too. At the end of the day, you probably aren’t going to build contacts without getting outside of your comfort zone. Shudder at the thought of walking up and introducing yourself to someone you don’t know? You aren’t alone. Check out these networking tips from Idaho Central’s VP of Human Resources, Ben Davidson, here. Too many employees can break the bank, but too small a staff can lead to poor service and missed opportunity. So, how do you know when to buckle down and when it’s time to hire an additional employee? One of the first indicators that it may be time to hire someone is if your customer service isn’t what it used to be. If customers are complaining that your service or turnaround time is slipping, or you’re being forced to turn away work, it might be time to add a new position. If you have no desire to grow your company bigger than it already is, turning away customers might just have to be a fact of life. And that’s okay so long as the customers you are taking on are being treated with a level of service that leaves them with a good association with your business. In another scenario, your customers may still be happy, but your employees are not. Running your staff ragged is not a sustainable business model. An overloaded worker may feel it’s impossible to catch up, that they are unable to take on a single additional task, and may even leave the company in search of a healthier work-life balance. Talk to your employees regularly to gauge where they’re at. Being aware of their task load will help you determine if a disgruntled employee simply doesn’t like being busy or if they are truly struggling to keep up. Telling signs of an overloaded employee include the desire to take on other tasks but feeling unable to do so, and feeling as if their workload is too heavy to take a few days off. You may know without a doubt that you are in need of additional help but before you start accepting applications, you have to know if you can afford an additional employee. Crunch the numbers and compare the amount the employee would be making against your projection of how much this employee will help your company bring in. How much more will you be able to do with this new hire? Equally as important as deciding to hire someone new is making sure you are hiring the right person. Don’t fill the space for the sake of filling the space. You need to know exactly what you are looking for in a potential hire and be willing to wait for the right person with the right skill set to come along. Hiring the first application to slide across your desk may be tempting because you “need help now” but you know what a big deal it is to add an additional salary to your ledger and to trust someone else with your business. Make it worth your while. We are proud to announce Idaho Central Credit Union (ICCU) has been named as the #1 Best Place to Work in Idaho out of the large corporations for the fourth year in a row! We are honored to receive this recognition again. Winners were selected from an employee satisfaction survey conducted by POPULUS, a marketing and HR research firm. This is the ninth year for the program and there were a record number of entries this year. 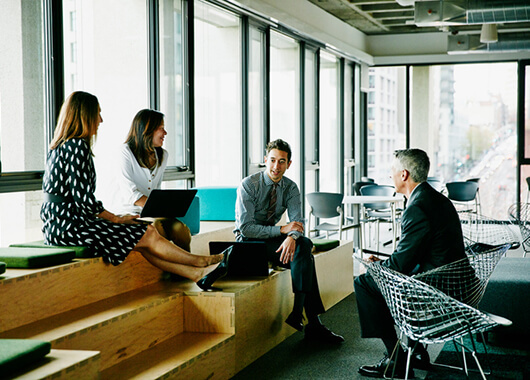 Participating organization’s employees take a confidential survey that covers the following topics: compensation and benefits, work environment, company management, employee growth and development, and work-life balance. 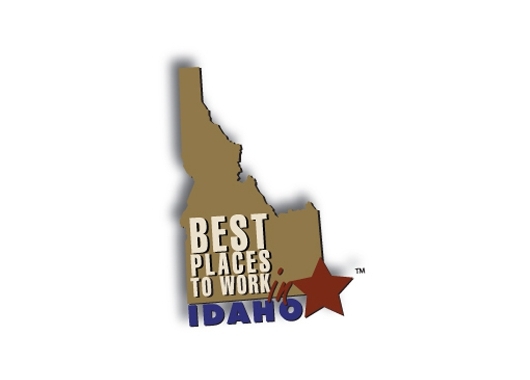 The businesses that score in the top ten in each category are named the Best Places to Work in Idaho. “We love and care about our team members. This is what enables them to provide world class service to our members. This award is such an honor because it shows that we’re doing something right,” said Kent Oram, ICCU President. To learn more about Idaho Central careers and apply at the #1 Best Place to Work in Idaho, click here. Why is “just follow your passion” sometimes bad career advice? Because you must not only follow your passion, but make that passion so compelling and valuable that others will pay you to do it. “The #1 obstacle to landing your dream job, is knowing what your dream job is,” said best-selling author, Ramit Sethi. Why is “just follow your passion” sometimes bad career advice? Because you must not only follow your passion, but make that passion so compelling and valuable that others will pay you to do it. We call this “finding your calling” or “your life’s mission”—in other words, something that your are naturally really good at and find personally fulfilling. The Gallup organization calls this “Talent”— natural ways of thinking, feeling, and behaving that lead to near perfect performance. How do you discover these strengths or talents? My favorite tools are the Strengths Finder ($15) and Meyers-Briggs Type Indicator (MBTI with Interpretation–free). As a recent college graduate, my job search led me to outside sales, “riding the range” as I called it, driving from business to business in a white Chevy Astro van filled with pre-paid cell phones. My objective was to convince business owners to sell my phones as a distributor. Working in the early days of pre-paid wireless for an unknown start-up in rural Idaho gave me a unique education. One day I would get chased out of a retail store by an angry store manager. The next day I’d be dining in the private office of the regional VP of a large service station chain and signing a contract. My old Astro van had windshield wipers that worked sporadically. One day during a blizzard I pulled over under a bridge near Twin Falls, Idaho to wait out the storm as my wind shield wipers had gone on temporary strike. As I sat under the bridge wishing for a garbage can fire and some hobos to keep me company, I compared my natural talents to my current job. There was a mismatch that drained my energy. Why was I not enjoying the work, even though I had become good at it and was finding success? The answer? Talent. The Gallup Strengths Finder showed me what type of work would be energizing and fulfilling. I made a change. Now I wake up early, excited to come to work and do what energizes and fulfills me. I recommend you invest $15 to find out what energizes and fulfills you. Use this link to order StrengthsFinder 2.0, which describes Talent and offers an online code to take the Strengths Finder assessment. Both the book and assessment are very short, but full of priceless insight all about YOU. After you take the Strengths Finder, I’d encourage you to take the MBTI then read the Interpretation to find out how you naturally communicate and perceive the world around you. Both assessments offer insight into what career would best fit you. Most natural charismatics have learned charisma so early in life that it seems innate. But the rest of the population can learn it too. 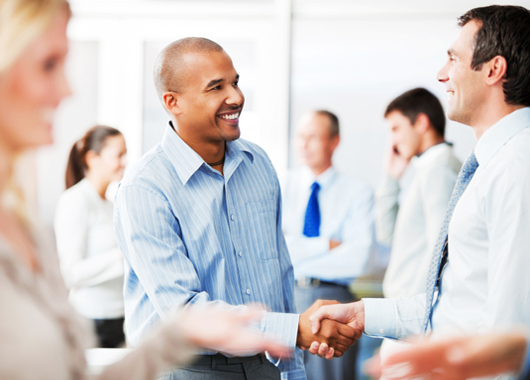 Check out our tips on how to be charismatic at business networking events. “Charisma is more about how you make the other person feel about themselves, than how they feel about you.” –Olivia Fox Cabane, author of The Charisma Myth and coach to powerful CEO’s, politicians, and Ivy League business schools. Most natural charismatics have learned charisma so early in life that it seems innate. But the rest of the population can learn it, too. Here’s how to be charismatic at Idaho business networking events. Start by asking the question, “Why do people attend these events?” The answer: To relax, get away from the office, and have fun. Not to be sold to or asked for favors. Remember; keep it light, friendly, and fun when approaching others at events. But how do you do that and still accomplish your goal? Banter is the key. Banter is creative, playful conversation the other person can join in to find humor or common ground with another person. It can be exaggerated, make believe, or edgy small talk, even good natured teasing to spark an interest in a person or situation. From here either they will play along and throw out something light and playful, too. Or they will act surprised and wonder what you mean. If they are playful, I like to continue the banter by responding with more light hearted small talk related to their comment. Maybe they said, “Yes, I’m waiting until the host walks by for maximum effect.” Then you’d respond with, “If you need to pin the crime on someone else, I stole this name tag from a guy over at the bar (hold out your name tag).” Then smile big and put out your hand to introduce yourself. If instead of engaging in the banter, they look puzzled and don’t play along, simply say, “Just joking,” then smile big and put out your hand to introduce yourself. Your actual spoken words are the least important part of opening banter to engage a stranger. Most important is confident body language (smile) and speaking loudly enough to be clearly heard. At an event, always be prepared with an engaging answer for the question, “what do you do?” (Although it’s not a question you’d want to lead with because it’s so over used.) The answer is not your job title or work duties. It is something the other person will understand and find interesting, worth bantering about. You’re not yet at the rapport stage so banter is what it’s all about, and banter must be light and fun. A good answer to the question, “what do you do?” might be, “I run the human resources department for a large credit union. Which really means I hire a lot of people and try not to spend all our money on health care.” This response actually means something to the other person, doesn’t sound pretentious, and gives them a chance to make a light hearted comment about what I just said–to banter. It’s as simple as saying what you do in plain English, then saying something edgy or self-deprecating so it’s not interpreted as bragging, but keeps things light and fun. 1. Presence Charisma – being fully focused in the conversation so the speaker’s words and your reaction (your body language) are in sync. If you’re not truly focused on the other person, one sixteen of a second delay in your facial reaction is all it takes for them to perceive you as insincere or bored. She recommends an exercise to help with Presence Charisma—focus on the colors of the person’s irises, irises are beautiful and will help you stay in the moment. Another exercise is to cast the speaker as an action hero from a movie so you sincerely take interest in what they are saying. (Everyone is interesting; some people just have a hard time conveying that). These exercises help you avoid the #1 mistake people make—faking emotion. Faking interest won’t work because body language is so complex and only one sixteenth of a second delay in your appropriate reaction will make you appear insincere or inattentive. Facial expressions are universal to humans and even babies react to them because they are inherent in humans. These exercises help generate sincere Presence Charisma. 2. Power Charisma – is your perceived ability to impact another person. It answers the inherently human, but subconscious question all people’s core animal brain asks when approached by another person; fight or flight? To fight or flee is the question our ancient brain immediately asks when we meet someone. There is no way to turn this off. It happens without our conscious mind thinking of it. To use this for good at a networking event, pay attention to how much space you take up with your body. Larger posture appears more confident than smaller posture. Directly facing a person is more threating than standing beside someone, even if you are relatively close. Cabane recommends an exercise to create Power Charisma before entering an event. Stand like a 5 star general surveying a line of smaller troops. Put your hands behind the small of your back, elbows out, taking a wide stance. This generates testosterone and powerful hormones. When you are at the event, remember that dominant alphas will interject pauses within their sentences, to show that what they are saying is so important, that no one will dare interrupt them. Slow down and be in the moment. Enjoy the moment by slowing down your brain. Colin Powell is an example of Power Charisma. 3. Warmth Charisma – is your perceived intent, i.e. friend or foe? When approached by another, human instinct always asks; are they friendly or intending harm? Warmth Charisma balances out Presence Charisma and Power Charisma by showing our good intent toward another, even though we are projecting confidence, power, and focus. Warmth Charisma comes from the 2 most important parts of body language (smile with the mouth and smile with the eyes). Studies show that humans most want complete acceptance, even more than love. Exercise: as you enter an event, immediately smile at and greet people, especially the help. Give positive value to everyone through sincere compliments and a warm smile. When approaching somone, balance this warmth by mirroring the amount of engagement the other person offers. Don’t move in face to face until invited, instead stand at an angle or side by side. Hold eye contact for 5 seconds, then look to the side briefly and back again for 5 more seconds. Touch their elbow to show warmth, but don’t over power someone by standing too close and directly in front of them until they warm up and mirror the same level of engagement. In speaking of self confidence, sometimes called “High Value”, Jordan Harbinger says that most people set their own value “number” in high school. They think their value is determined by others, but the reverse is true. Others perceive our value based upon the signals we give off (body language, tone, confidence). Use these 3 elements of charisma (Presence , Power, and Warmth) to show your high value. You’re worth it and so are the people waiting to meet you or maybe even help you land your dream job. Idaho Central Credit Union is federally insured by the National Credit Union Administration. © 2019 Idaho Central Credit Union. All rights reserved.